To appease some of my healthy eating readers (You know who you are! ), here is a great treat for when the sun finally decides to make an appearance. They’re easy to make, healthy, and taste great! 1. Add the sugar to the water in a small pot and bring to the boil. Boil for about 4-5 minutes and then set aside. 2. Puree, kiwis, mangos and raspberries separately in a blender. 3. Divide the syrup made in step between the three purees and mix in. 4. 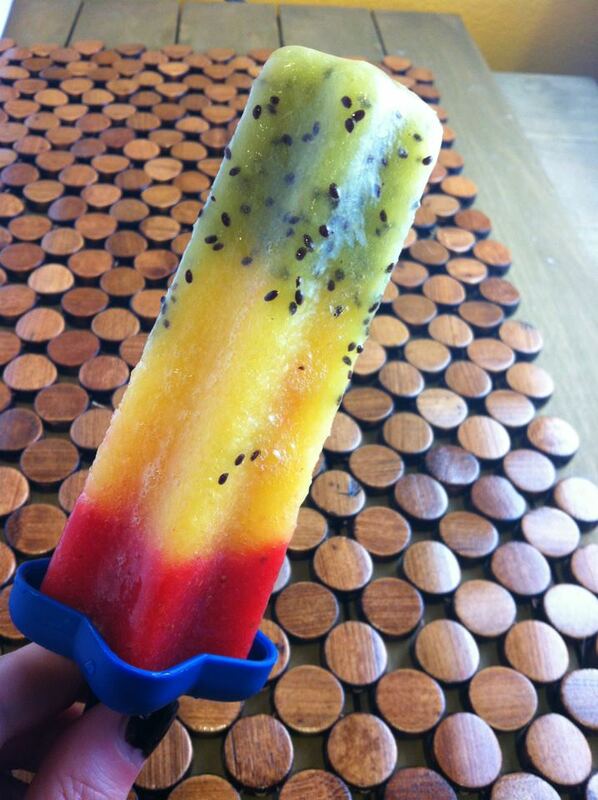 Pour mango puree into your ice lolly mould and freeze for at least 1 hour. Add mango puree and freeze for at least 2 hours. Add Raspberry puree, insert sticks and freeze overnight. Horse Meat – Yay or Neigh? Is Horse Meat Back on the Menu?